How about purchasing that special Christmas gift that will eclipse the joy of giving and receiving it – ‘Gifts That Give Back’. The place to get these Gifts that Give Back is at the Alternative Gift Market being held in the lobby before and after church service on December 3 and 10. Any gift that you purchase at the Alternative Gift Market will support worthy social causes with real economic and environmental impacts, both here in Denver and across the globe. These include: AfricAid, Church World Service, Earth Links, Heifer International, SERRV, and Women’s Bean Project (also including our local church favorite, Incredible Edibles). To learn more, visit the Mission, Outreach, and Evangelism Kiosk in the lobby. Thank you for shopping! We’re excited to announce Lakewood UCC’s upcoming Holiday Boutique! Saturday, November 17th, 9:00 am to 4:00 pm. This event will be open to the public, and be comprised of donated jewelry for sale, donated quality crafts for sale, a hot chocolate bar, neighborhood handmade focused vendors, Action Center food drive and MORE! 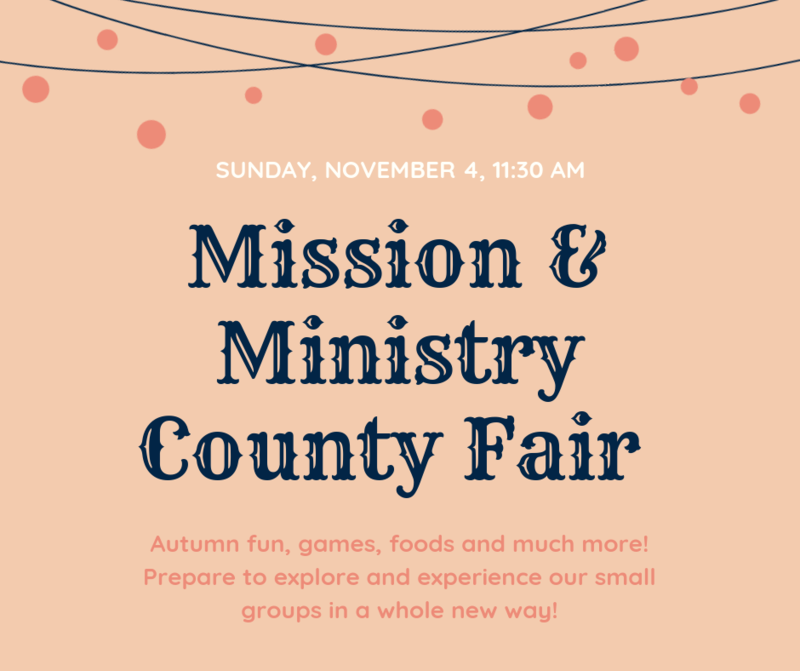 Learn more about the mission and ministries of Lakewood UCC at our Country Fair – with all that we have to offer proudly presented along with Autumn fun, games, foods and much more. Prepare to explore and experience our Mission and Ministry Country Fair on November 4. Mark your calendars you will not want to miss this! On Monday, July 30, 10:00 am – 2:00 pm, we need 20 volunteers to pack school supplies for needy schools at Steven’s Elementary School, 7101 W. 38th Ave, Wheatridge. Sponsored by the Action Center. Adults and kids 10 or older are welcome. They need all the help they can get, even if for just a couple hours. Bring a sack lunch. We are also collecting school supply donations. The most needed items are: graph paper, red pens, highlighters, loose leaf paper- wide and college ruled, spiral notebooks, and backpacks. For more info, contact Mike Fife. Join us for a presentation at Lakewood UCC following the worship service to learn more about the obstacles Colorado Dreamers face in gaining access to postsecondary education and how you can help. This presentation will be given by members of the Metropolitan State University of Denver’s (MSU Denver’s) Dreamer Network. This organization is comprised of dedicated professionals within the university whose goal is to advocate for equitable policies, educate the community, plan events and raise funds to support Dreamers students. MSU Denver serves a larger number of undocumented students who qualify for in-state tuition than any other 2- or 4-year institution in Colorado. We need 12 volunteers to help pack food. There is no age requirement. Kids younger than 7 must have an adult with each of them. We will meet at the Action Center warehouse at 9:00 am at 8755 W 14th Ave in Lakewood, near Garrison and Colfax. They usually provide water, coffee and snacks. Please see the sign-up sheet at the Welcome Center. For more info, contact Mike Fife. Through the Church’s boards and committees, our congregational life is sustained in the form of worship, church operations, mission, communications, faith formation, finance, personnel, care for creation, adult education, endowment, fellowship, and congregational care. Participation on a board or committee is both an opportunity to share your gifts of grace and to develop a deeper understanding of those gifts. If you feel called to serve, in any capacity, please contact the Vice Moderator, Paul Michalec, about the various opportunities that exist. Paul can be reached at paul.michalec@du.edu or 303-988-1359.